Four drawers, wire holes, Solid wood. 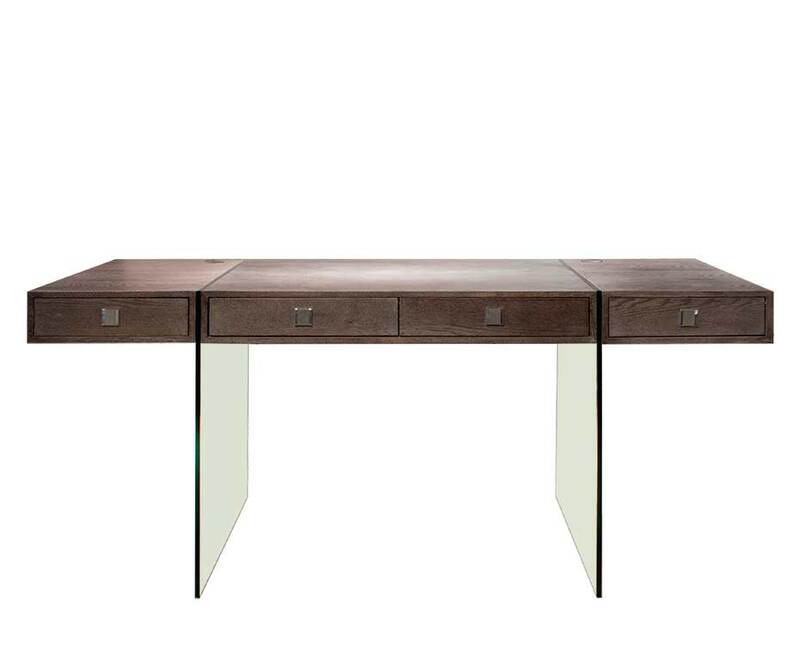 The Tobias Desk is a unique, modern office piece. 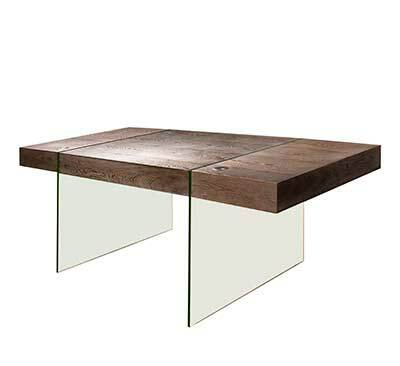 Resting on two glass legs, this wooden executive desk seems floating and is perfect for an office or home. The top features four drawers and wire holes on each side for added convenience. 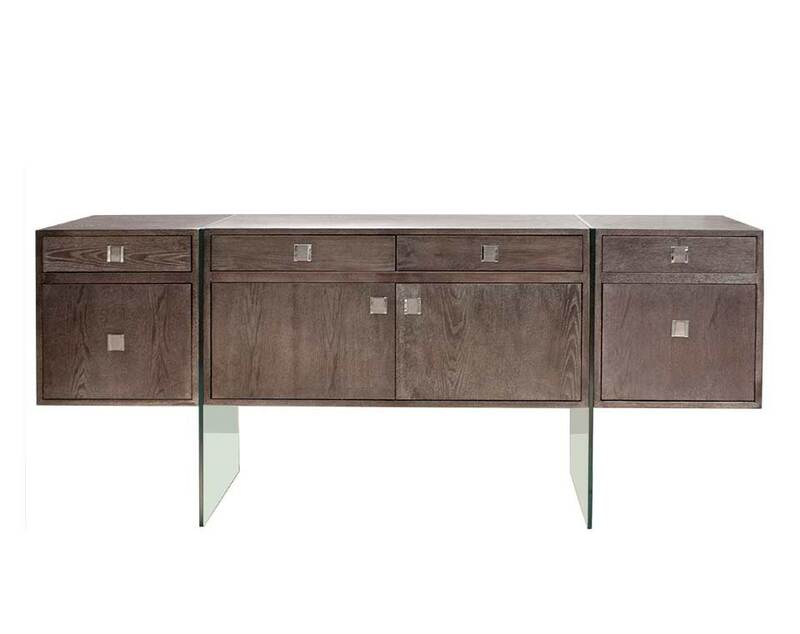 The Tobias Credenza is a perfect, modern compliment to the desk or as a stand-alone piece. 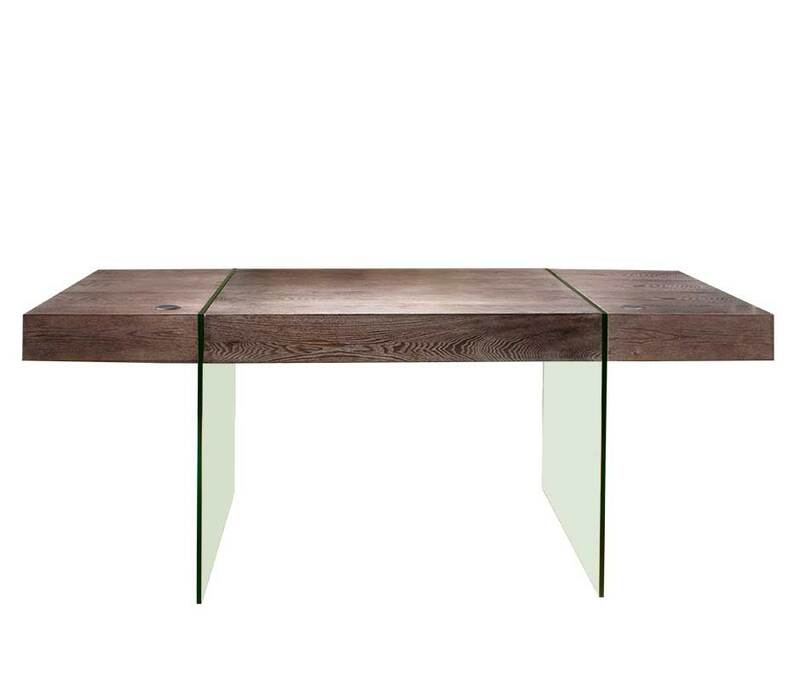 Resting on two glass legs, the credenza is the complete combination of efficiency and beauty. The case features four drawers, two doors and two file drawers with metal file hangers. White Lacquer finish. 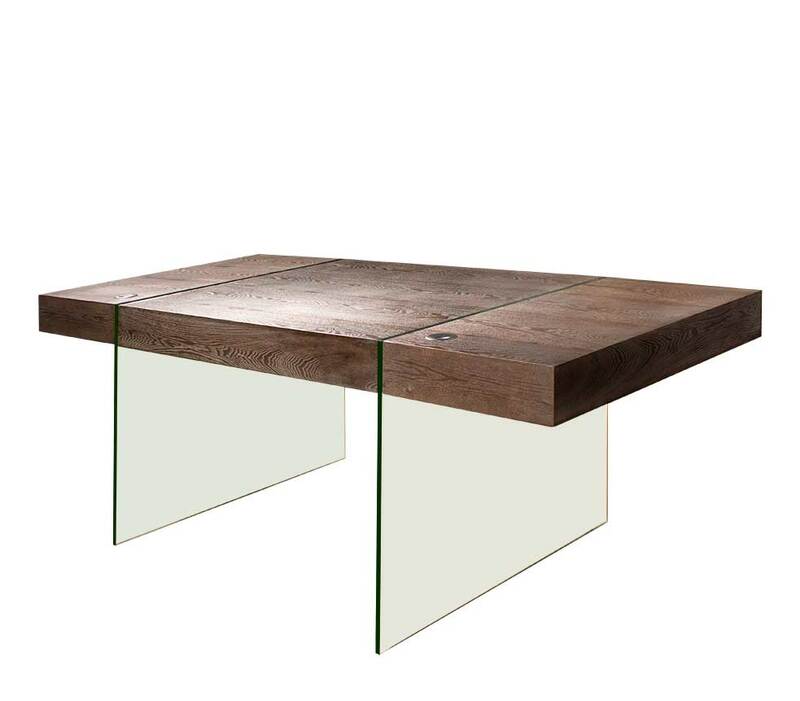 Stainless steel.LUXURY Desk avaliable also in dark cuppuccino finish. White Lacquer finish. Stainless steel. Luxury Desk!